The clock is ticking to the deadline for Britain’s forthcoming exit from the European Union on March 29 next year. Prime Minister Theresa May has been able to negotiate with European leaders a draft agreement for Brexit. But, she now faces the challenge of getting it through Parliament. Not all of Britain is happy with the terms proposed, and some are campaigning for the Prime Minister to push for better terms. However, senior figures in Brussels have expressed that it is unlikely that the UK will get a better deal than the one currently on the table. Britain’s leaders race against time to determine whether the UK leaves the Union with or without a deal. 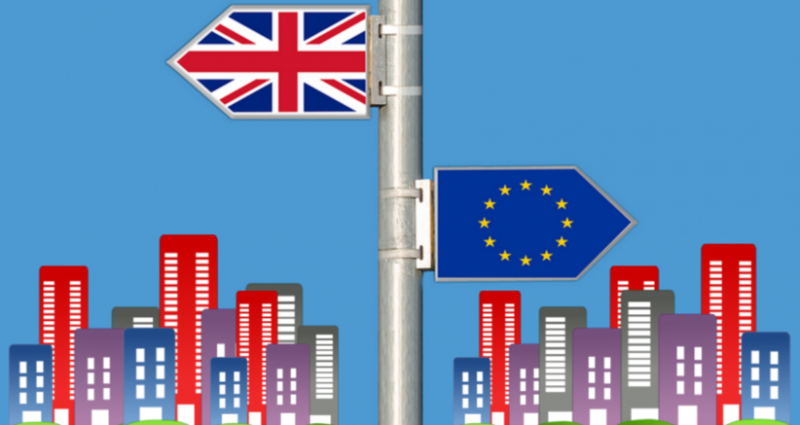 What does a deal, or no-deal mean for the future of property investment in the UK? Right after the referendum results came out, many had predicted a downturn in the market with all the uncertainty about Britain’s future. Even so, we held fast to a positive outlook for the market due to the sector’s strong fundamentals. That there will be challenges, we have no doubt, but we remain steadfast in our belief that the UK will recover. More of that here. The UK property market reacted adversely to the EU Referendum, but its rebound defied expectations. Data from market analyst Hometrack show that the market had experienced an overall period of growth after the referendum, with the cities of Manchester, Birmingham and Liverpool registering 9.7%, 9.6% and 8.3%, respectively, since March 2017. As a whole, the UK gained 5.3% during the same time period, with London’s 0.2% an unsurprising drag on average growth. What’s worth reiterating is that the UK property market continues to grow despite concerns about Brexit. 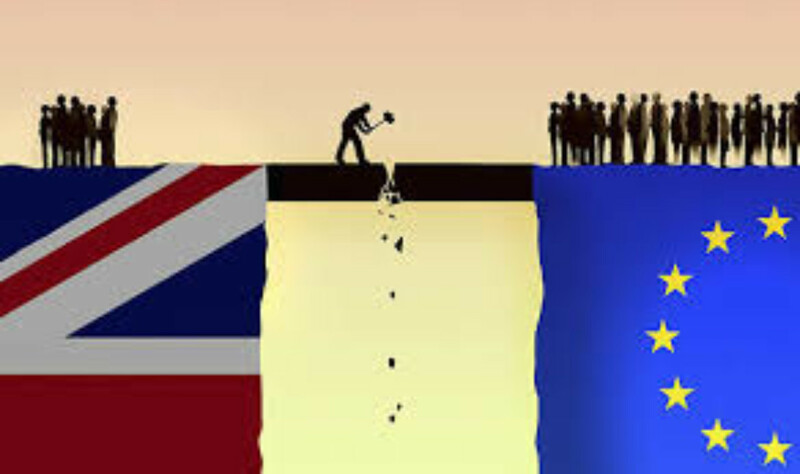 That, amid the negativity and naysaying that has been circulating around the impending Brexit, is a growing number of experts that understand that the UK housing market is not propped solely by UK’s exit from the European Union. 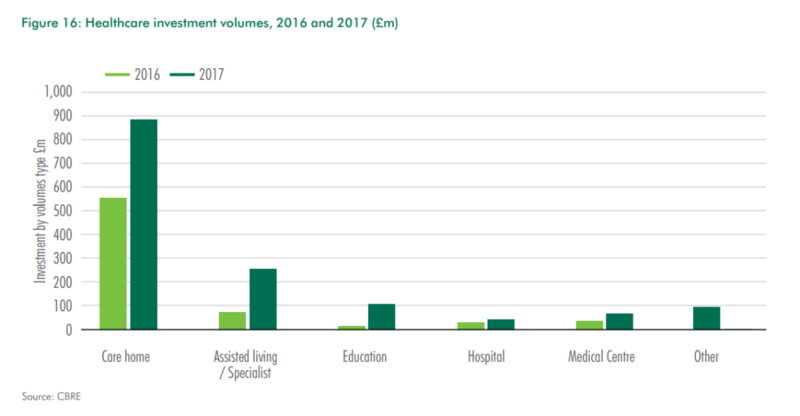 Real estate firm Colliers International identifies the main drivers of UK residential property as long-term demographic pressure, household formation rates and government housing policy. The firm pointed out that house demand and prices are not so much affected by Brexit as they are by stamp duty, help-to-buy and other domestic policy changes. David Hollingworth, of brokers L&C, said that any impact from Brexit will be short-lived. “The fundamentals that have driven house price growth remain the same, namely the limited supply of property and low interest rates,” he said. These two factors are unlikely to change anytime soon. London may have experienced a slowdown since the referendum, but property firm JLL expects a bounce-back after Brexit. The firm predicts that the average price of a new-build home in Zones 1 and 2 is expected to jump 17.6% between Brexit and 2023. Adam Challis, head of residential research at JLL, says that values will nudge up next year before accelerating faster with a greater sense of job security. House price growth will also be driven by the escalating supply crisis within the capital. Housing starts are expected remain around 20,000 units a year over the next three years, and begin to rise towards 25,000 a year by 2023. 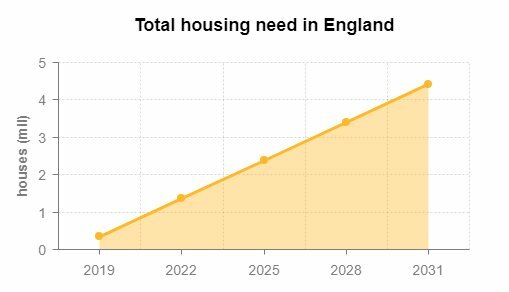 This falls a long way short of the Mayor of London’s target of 66,000 new homes per year. Positive economic indicators underpin the optimistic housing outlook. 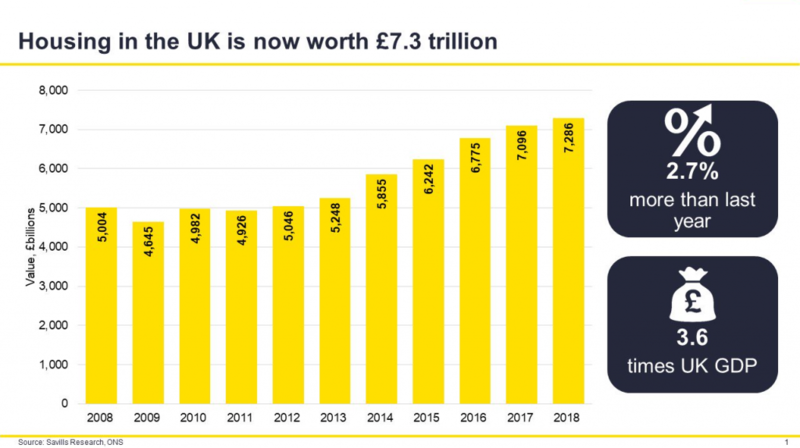 Advisory firm Ernst and Young forecasts an upward trend for the UK’s GDP, predicting growth by 1.4% next year, followed by 1.7% in 2020, 1.8% in 2021 and 2.0% in 2022. 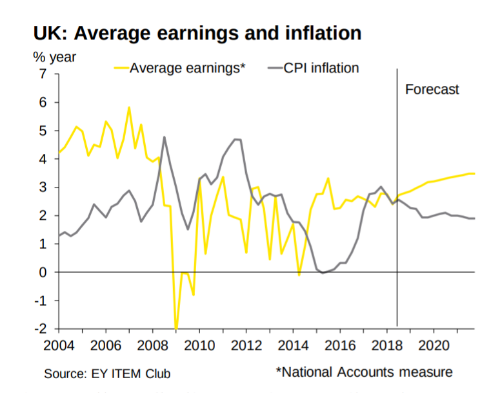 Next year, spending power will also start to increase as earnings are expected to rise by as much as 3.0% while inflation is predicted to drop to 2.0%. Once a deal is set in stone, we should see a partial recovery in the value of the British pound. Colliers predicts a 5% to 10% appreciation in value, affirming that now is the right time to get in to the market while the pound is still weak. Even in the event that a deadlock happens and no trade deal is reached, the weakening of the pound will lead to greater interest in the high-end residential sector by overseas investors looking for safe haven investments despite less accommodating tax and regulatory relief. There is increasing domestic pressure for tax and regulatory reform to support the housing market given the role that housing and the ‘wealth effect’ plays in supporting household spending – a mainstay of the UK economy. A new round of housing policies and tax adjustments would be expected after the next general election post-Brexit. In the long run, the economic weakness resulting from a hard Brexit will be compensated by new reforms targeting the housing market in general. The strong fundamentals of the UK property market will prove its resilience to Brexit. In the long term, investors can bank on the market to continue to provide good returns. Weakness in the British pound right now confirms a window of opportunity for investors to get in before the value of sterling starts to rise again. CSI Prop recommends investment in the regional cities, where rapid expansion and development spurs a strong growth in the property markets. There is no time to lose — the British pound is weak, which means an amazing buying oppportunity for property investors. Give us a call at (+65) 3163 8343 (Singapore), 03-2162 2260 (Malaysia), or email us at info@csiprop.com! The UK property market has been mentioned in the news quite a fair bit. 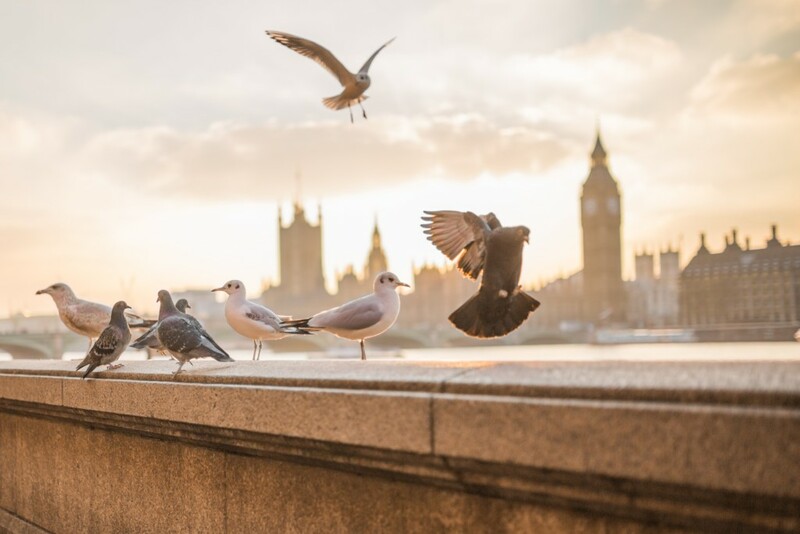 One of the issues that has consistently been bandied about is the UK property market and how it will augur in the face of the political upheaval that the country is going through, namely Brexit and the UK snap elections. Over the years, what’s clear is that the UK property market — which suffered at the global financial downturn — has become a tougher nut to crack. UK’s property market has remained resolute, with prices continuing to climb skyward. Underpinning this spiraling price hike is the critical undersupply of housing — a condition that is not just prevalent within the residential real estate sector, but also the student accommodation sector. One of the students we interviewed who is currently a VITA Student resident in Liverpool. Student property is currently the top investment asset within the UK property market. Student property is now one of the most — if not the most — resilient asset class in the UK property market. Over the years, more investments have been made into this sector, making it a popular investment among astute investors. Institutional investors like Temasek & GIC have invested heavily into this sector. Watch this video above to know why student property is now the UK’s Most Resilient Asset Class in the UK property market.